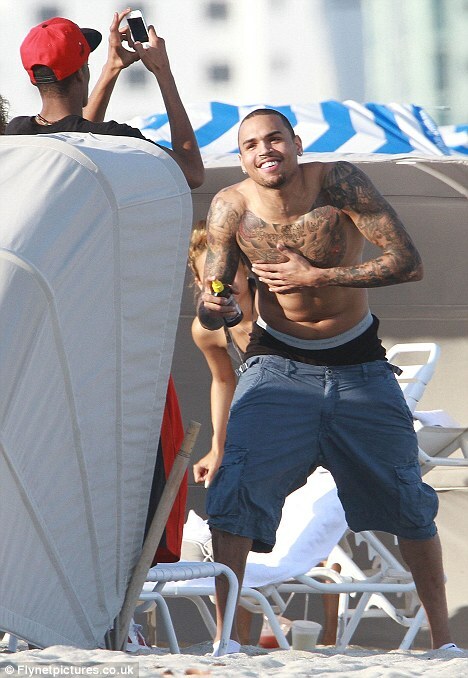 We shouldn’t laugh, well actually why the hell not, let’s laugh all we want. 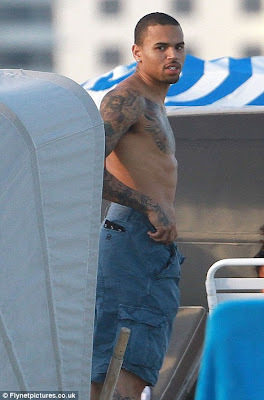 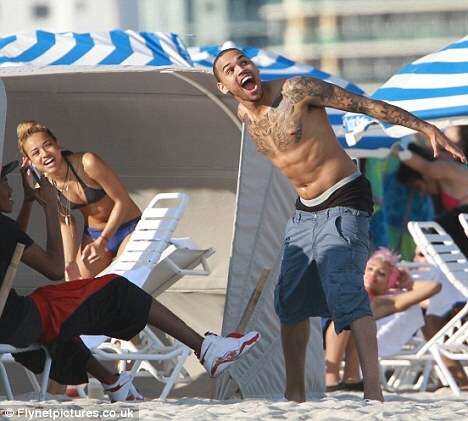 Chris Brown being attacked by a seagull is rather amusing, is it not? 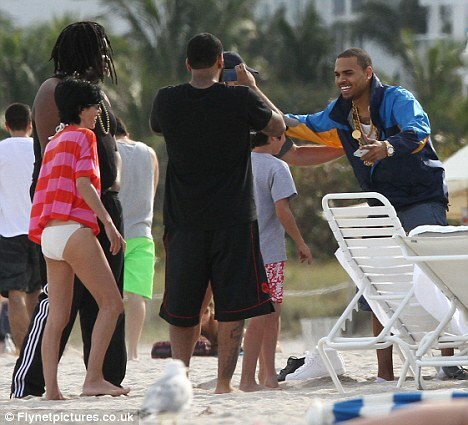 The singer has come under a lot of criticism over the last week after he attended and also won a Grammy. 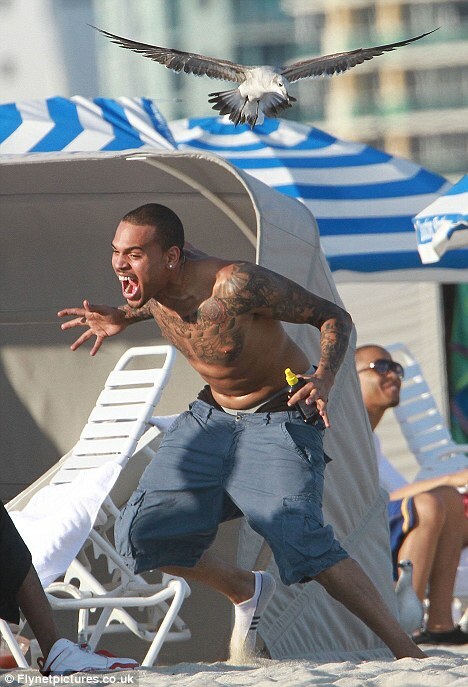 The Grammy Awards is of course the location where he beat up former girlfriend, Rihanna, three years ago. It appears however, that although the public still hasn’t come to terms with his brutal attack, and neither have the seagulls, if these pictures are anything to go by, the pop princess herself has forgiven him. Brown was snapped at Rihanna’s birthday party in Beverly Hills this week, which set the rekindled romance rumours going again. It’s also been reported that the pair have recorded a remix of her song Birthday Cake.